It’s hard to believe this is the last day of 2016. What a year! Here’s hoping we have a more peaceful, content 2017. My bayberry candles are lit and I’m ready for a happy 2017! I want to thank all of my readers for sticking with me through this year. I have been trying to change things up, but at the same time, I didn’t post as much as years before. This is something I am going to actively improve in the new year. Posting more, even if it’s something small, and it doesn’t have to be as uniform as I have been trying to make them in the past. This was the first year my husband and I experimented with tomatoes! We had a great crop! We also had a few small pumpkins and gourds from the seeds of our Halloween pumpkins the year before! We have since expanded this bed and I plan to start shopping for more veggies to plant this year! This past year was the first time I really enjoyed Spring. I loved all the cherry and apple blossoms on the trees, and I planted more unique bulbs that truly made me happy. This hair allium was the showstopper of my back of the garage flower bed. I was so happy they came up! I also took a big interest in window boxes. For those of you who can actually have window boxes, please try having one. I love how they make your house look so homey and quaint! Another highlight– seed collecting. I had never taken the time to do this before. It was actually very enjoyable, and I found a new appreciation for the beauty and uniqueness of seed pods. They are all different– some you wouldn’t even think were seeds! This is a Giant Hibiscus seed pod. I think it’s beautiful, and gave these away as Christmas presents! So? What on the schedule for 2017? I am tackling projects I have wanted to get started on for the past few years, but something else always took priority. Here’s what’s on my list for 2017, and you can hold me to it! Pergola project –I am going to make sure my pergola project gets under way. I have been dreaming of one of these for about 3 years now, but we have always had to set it aside for something else. Sometimes you just have to make it happen! Window boxes— I am going to add a few more window boxes to my little house. I really LOVE how they add so much character. My dream would be to have one at every window, but I have to get approval from the hubs, first! The Veggie Garden— we are expanding! If you follow my instagram account, I posted a picture of how I extended the bed on the side of the garage to accommodate more veggies– my hubby wants it bigger, so we will be expanding the bed even more, which means more veggies in the garden!! Garden Appreciation — I am going to start touring more and spotlighting more great gardens this year. So many people have so many great gardens, I think their designs should be shared! I want to wish everyone a great 2017– enjoy every moment and be happy with everything you have. You wouldn’t believe how much more beautiful life will be! It’s hard to believe that Christmas will be here in less than 2 weeks! December always ends up being a stressful month for me, no matter how I try to make it OK. One year ago today, it was 70 degrees out– there were dandelions on the ground!! Fast forward to today– it’s 33 degrees, and at my house, we are getting our first real blast of Lake Effect snow. What a difference a year makes! Here are some things that I am going to make an effort to acquire– because they are both practical and nice to have! Muck Boots— I LOVE that they are now making a wellie-like winter boot! I love the Royal Horticulture Society version, but unfortunately, you can’t get it in the US. I am sure I could probably order it online straight from Europe. 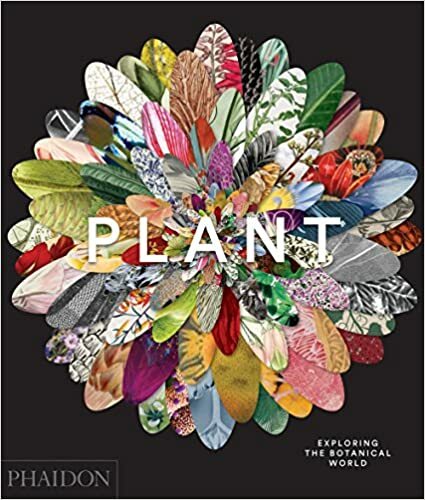 Plant:Exploring the Botanical World –I have heard nothing but good things about this book, and after taking a peek at the preview on Amazon, I can see why. The illustrations are stunning, and the book itself looks in depth and informative. I need to get my hands on this! Under Armour Studio Lux Beanie — I LOVE this hat! I own two and want every color! They are comfy and cover up my ears just right! So, when I am out filling up bird feeders or taking pictures of Winter Interest in my garden, this will be the first one I pick up! Smith and Hawken Terracotta Pots — My garden plan next year includes using more terracotta planters in my garden. I have to start thinking about stocking up! 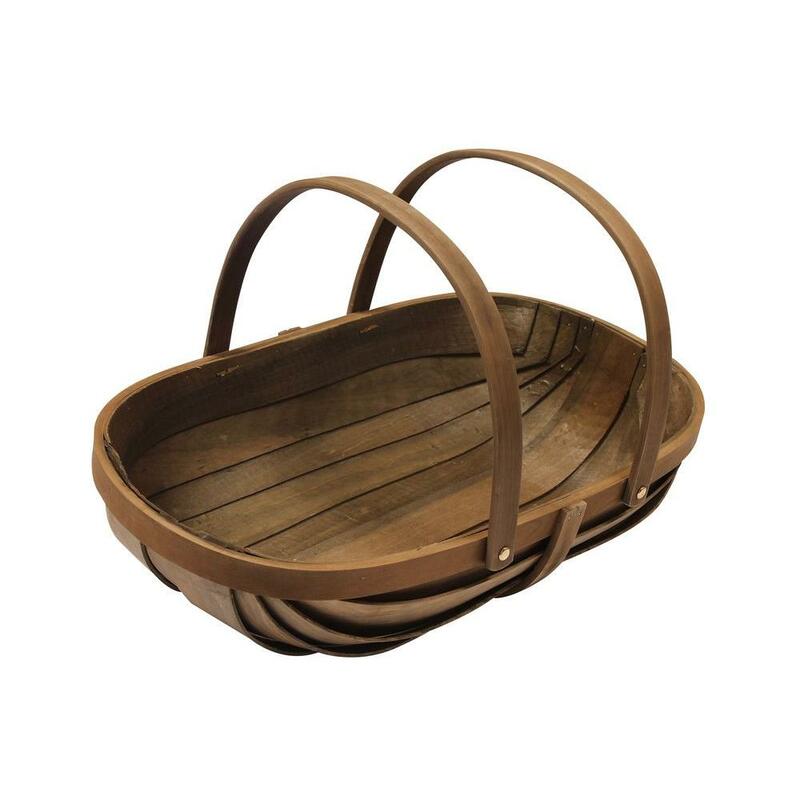 Garden Trug — This is the one thing I have wanted to get for some time, but keep pushing it off for something else! This is so simple, practical and beautiful. If we are expanding our veggie garden, I want to be prepared! I might actually buy this for myself and put it under the tree– then I will finally have something under the tree for me LOL! Garden Trowel and Fork Set— Playing off my namesake blog– you NEED a good set of tools to do work in your garden. This is the perfect, quality set! Besides, what would be a Gift for Gardeners list without the necessities! The Whole Seed Catalog — I just saw this at Barnes and Noble the other day, and got excited, because now that we are expanding our vegetable garden, this will be the perfect periodical to pick out some great new seeds to grow! I hope this list is helpful– I can guarantee any gardener in your life will be thrilled to get any of these!